Stop. Breathe. Bask in the blissful relaxation of sunset in Queen Valley. Feel better? Good. 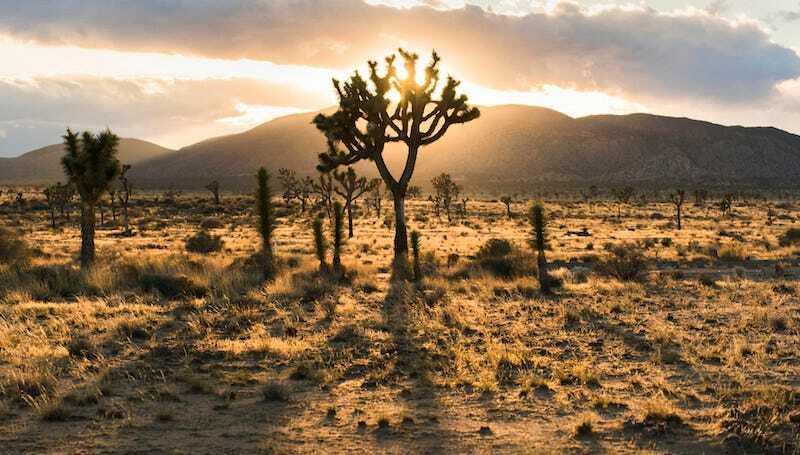 A setting sun backlights the branching joshua trees, stunted desert scrub, and rounded hills in Joshua Tree National Park in California. It’s a welcome moment of pure tranquility in the bustle of holiday chaos.